Enhance your iOS gaming experience with Kanex GoPlay Sidekick, a pocket-sized wireless game controller for iPhone, iPad and Apple TV. Certified by Apple, this portable controller works with almost any controller-supported game on the App Store. 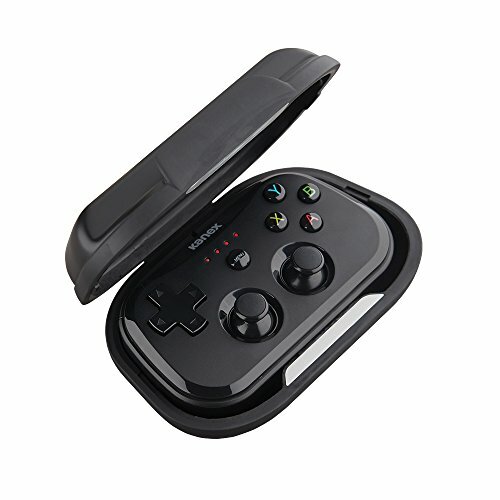 The rechargeable battery provides 20 hours of gameplay and uses Bluetooth 4.0 to connect to your device. The patented, innovative clam-shell case protects your controller and serves as a stand to prop up your device and experience console-like gameplay wherever you go.